Buffalo River Musings: The bridge at the Hasty access provides a great view downstream. 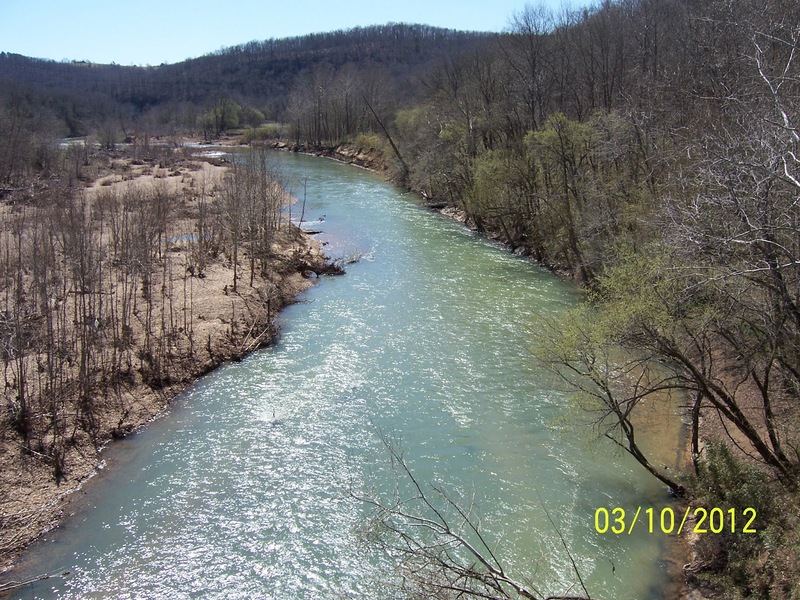 The bridge at the Hasty access provides a great view downstream. One of the many access points to the Buffalo National River is at Hasty in Newton County. 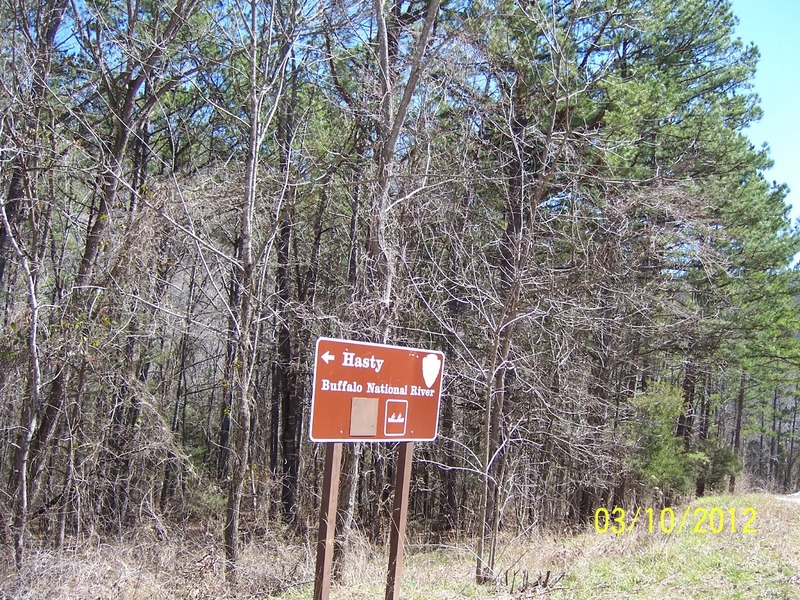 The Hasty Cutoff Road turns off State Highway 74 several miles East of Jasper. The road goes about three miles to the river. There is an access area off to the left just before crossing over the bridge. 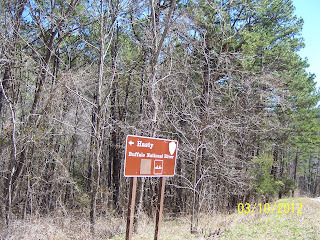 There are restroom facilities there, but I did not see any camping area or launch area. The parking area appeared to have just been re-done with white chat. 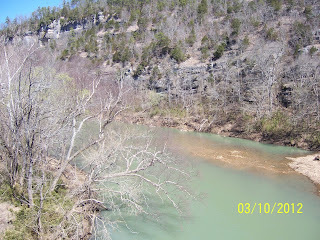 There is a high bridge that crosses the Buffalo National River at this location. 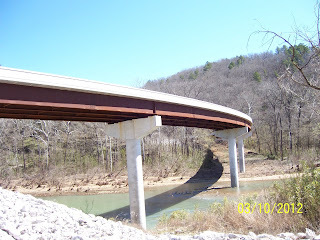 The gradually curving bridge looks to have been built within the past few years. 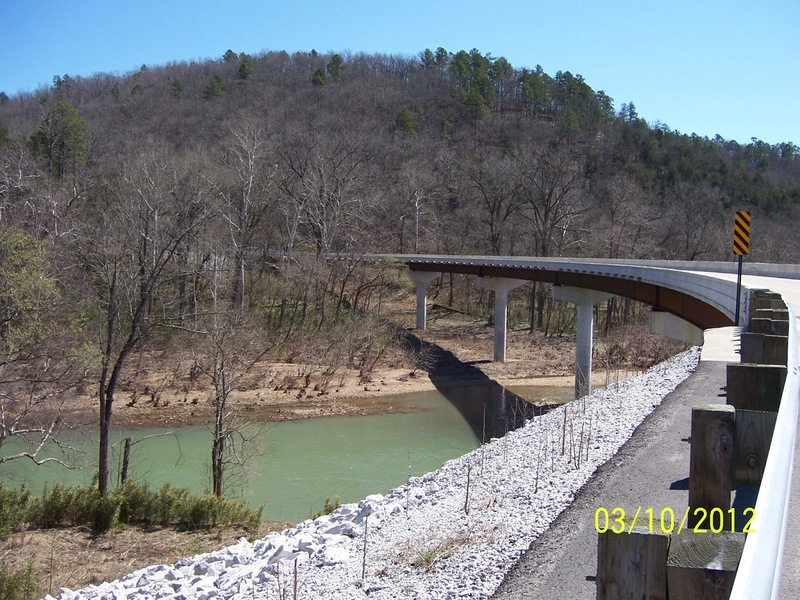 It replaced a low-water bridge previously in this location. You can park at the end of the bridge and walk to the middle of it. There is a great view of the river downstream from the bridge. 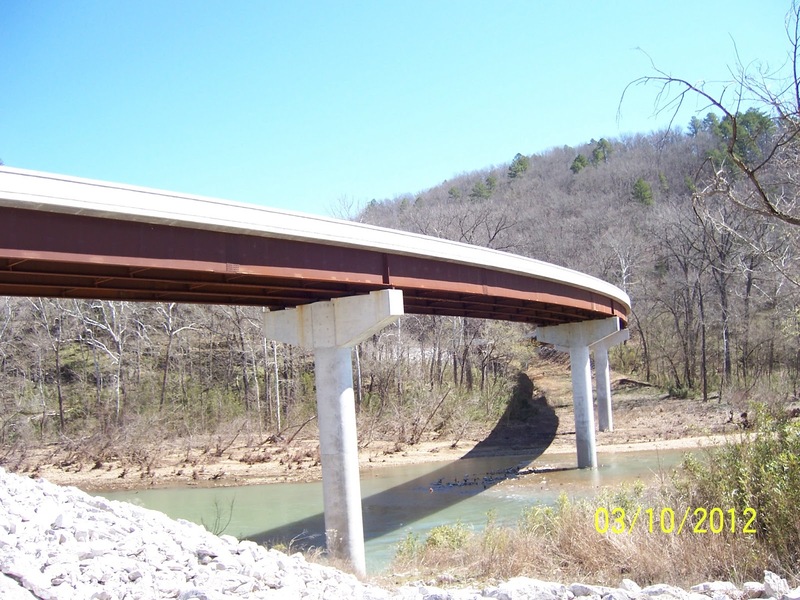 Be careful to watch out for vehicles while on the bridge, but there is very little traffic. to the river access area. 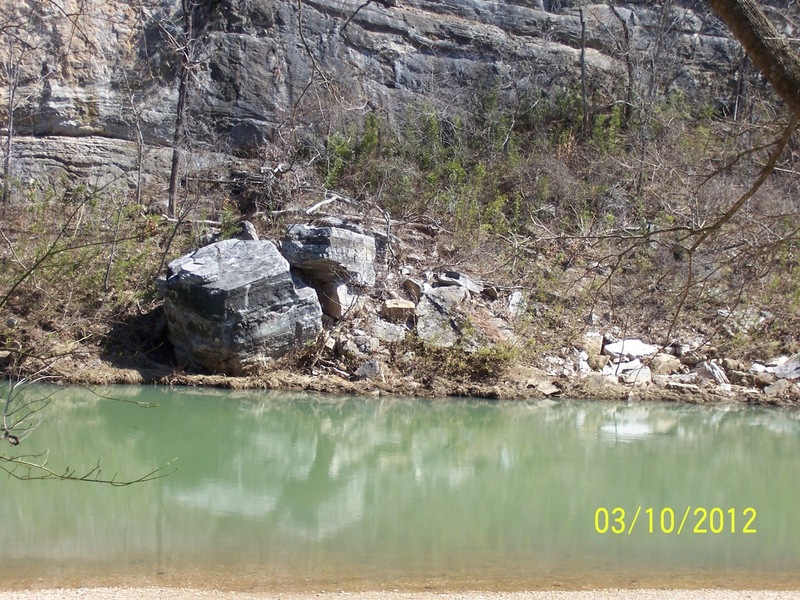 The calm pool of water at Hasty access. 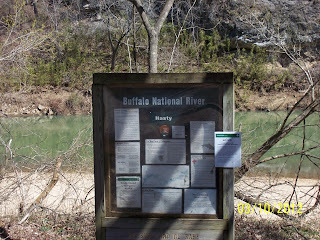 Buffalo National River on Hasty Cutoff Road. Wow!! Great post as always. 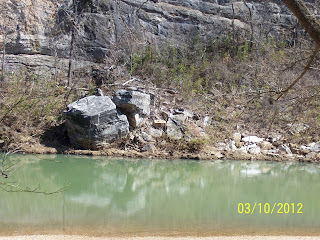 Thank you too much for sharing.Buffalo River wilderness is surely finest outdoor destination. I love the way of representation of your blog article. Please keep up sharing.